If you've got any semblance of a life, the looming prospect of having to dress up for Halloween is probably shifting from a pesky brain-gnaw to a full-blown feeling of panic right about now. Despite the pretence of 'fun', dressing up for this adopted holiday can be a major pain in the tuccus—when else are we expected to look equal parts hot and terrifying, while also being creative and culturally relevant? It's enough to make you stay home. If you're in need of some Halloween costume ideas, we've got your back. 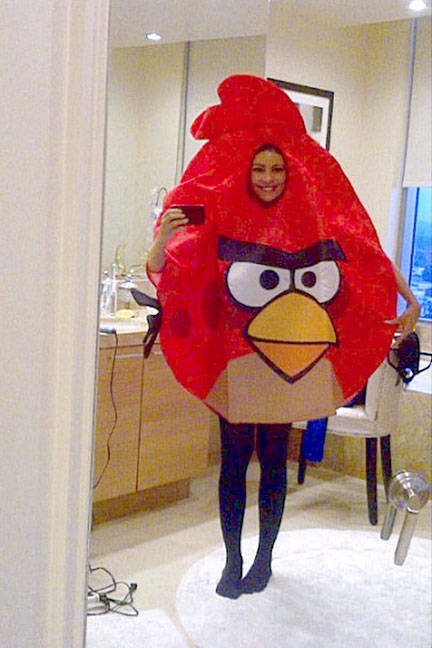 This year we're looking to our favourite source of Halloween costume inspo'—famous people—for our outfit ideas. After all, they have the cash, the personal assistants, and the free time to think of creative costumes, so you don't have to. This is what the cool kids are wearing this Halloween. 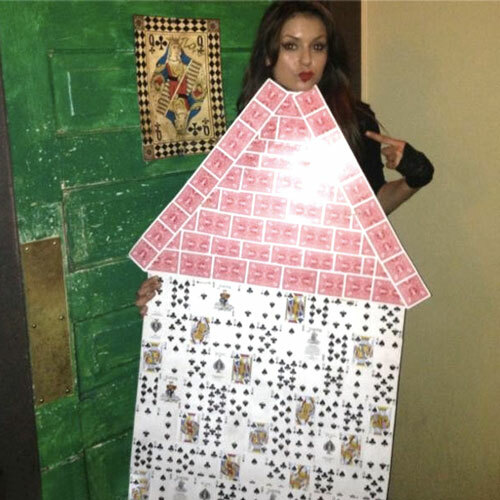 Culturally Relevant and also one of those funny Halloween costume ideas that can be branded as 'clever' (even thought its about as basic as you can get), this House of Cards costume, worn by Nina Dobrev, is an easy make. Not sure what to do with that flower crown you bought in 2009 and never wore again? Make like Rebecca Minkoff and dress as Frida Kahlo this Halloween! Throw on a red lip, and mascara on some fake brows, slip into a kaftan, and you're away. This Halloween costume idea is not only easy-peasy to whip up, its interactive nature will make you the most popular kid at your Halloween soiree. 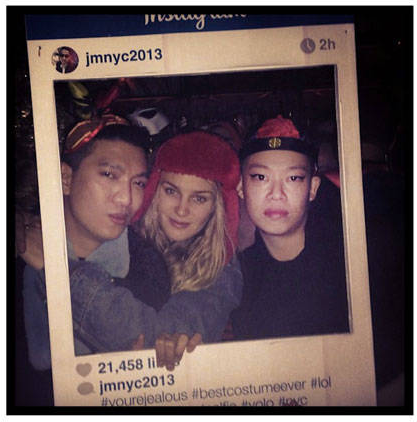 Thanks to Jason Wu and Bryan Boy for the costume inspo'. While not the most original Halloween costume idea, you'll score bonus points if you wear this and you're a dude, a la Perez Hilton. This Halloween costume idea is both a classic early 2000's throw back, and comfy as well! 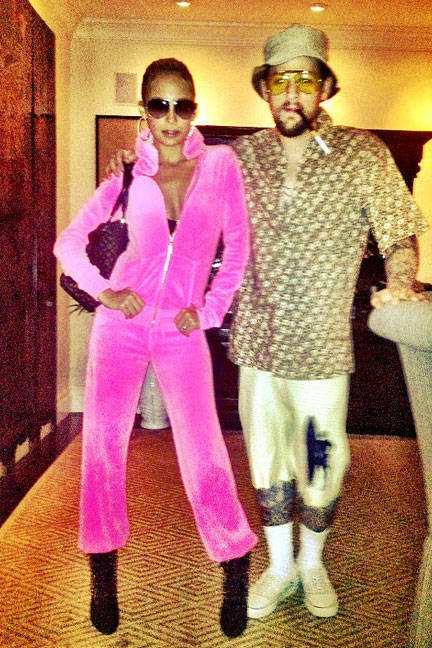 Nicole Ritchie has totally nailed this 'I'm Real' era J Lo get up, complete with hoops, velour, and transition shades. Another Ritchie work of genius, this is a great costume idea for you and your significant other. 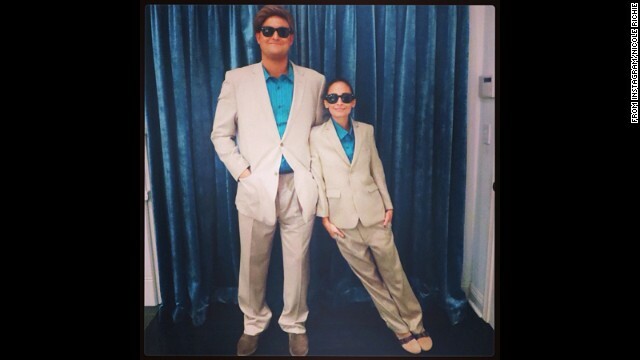 All you need is some hair gel and matching suits. 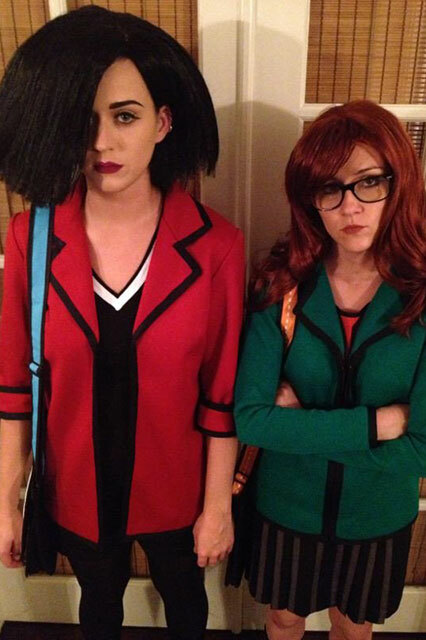 If you're looking for a cute Halloween costume idea for you and your bestie, do a Katy Perry and dress as the classic '90s pair, Daria and Jane. There's nothing better than when a hot woman throws caution to the wind and dons a figure hiding, ridiculously oversized costume. Respect, Sofia Vegara. 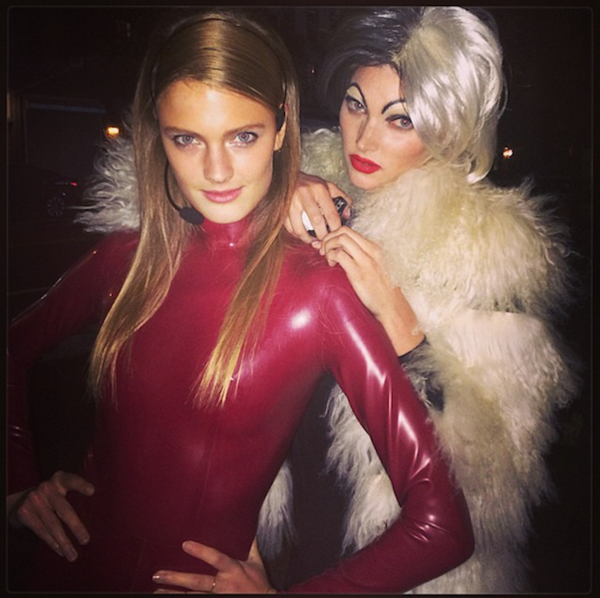 Going as Britney Spears is the oldest costume idea in the book, but if you make like Constance Jablonski and choose a Spears costume that's not so regular, you'll turn heads for the right reasons. This is a simple and easy Halloween costume idea, granted you can find a red bodysuit and have been doing your crunches. Click here for Brisbane's best Halloween parties!